This is a joint recovery organizing site for New York's Rockaway and Astoria neighborhoods in the wake of Hurricane Sandy. For more recovery information, visit queensmamas.com. 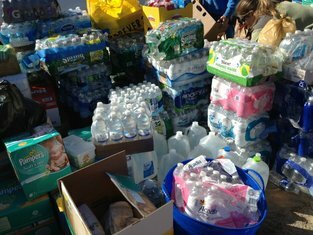 For additional volunteer opportunities, visit OccupySandy.com. Team Depot: giving back is a fundamental value of The Home Depot and a passion for its associates. Through The Home Depot Foundation and its ongoing partnerships with nonprofit organizations (501c3, W-9) The Home Depot donates millions of hours, tools and supplies each year to community service projects. 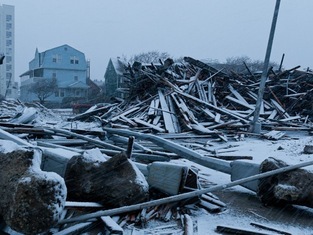 The Rockaways and Broad Channel Long Term Recovery Group provides collaboration, resource identification and allocation and advocacy for individuals and families who reside in the Rockaways and Broad Channel areas affected by Superstorm Sandy an all hazardous disasters. This site now serves the Rockaway Community! This site now jointly serves both the Rockaway and Astoria neighborhoods of New York City! Use the above buttons to request help, volunteer your services, or post a donation to help in the Sandy Recovery Effort! 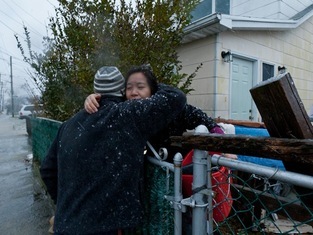 Two days ago we took in a family from the Rockaways and they are staying in our home until they can find a place to live. You can see the full story here about this family. 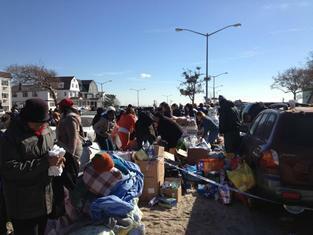 UPDATED DEC 5TH - If you are still looking to donate supplies to the Rockaways then please see the list below of places that will accept direct donations. There is no need to call them, just show up between 10AM and 4PM daily.